My love for Japanese food rarely extends beyond Salmon, Tuna, Saba and Uni as I always equate it with raw and fresh seafood. 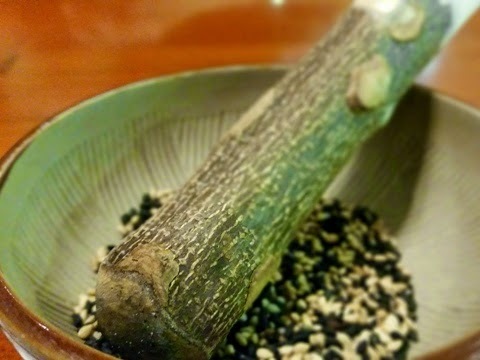 As much as I would love to try out other dishes, I always end up ordering the same thing. So it really came as a surprise that we both agreed on having dinner at Yabu that night where no sushi or sashimi can be ordered off the menu. 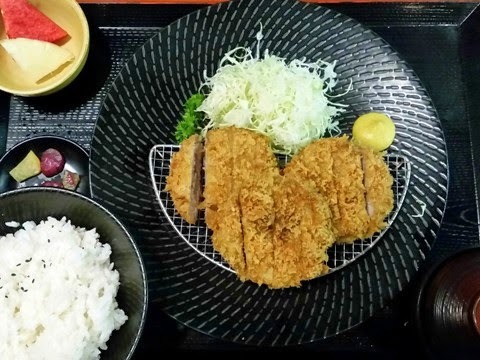 Eversince Yabu was born, the standard for breaded pork chop was never the same. 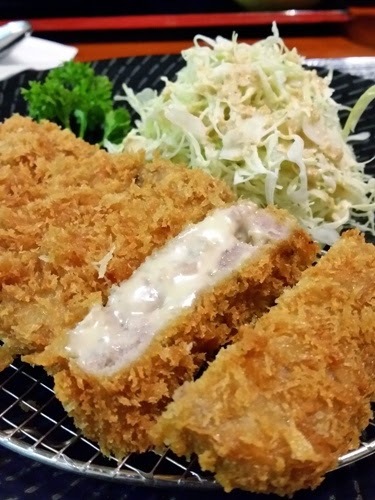 People began lining up and paying premium for moist and tender katsu. 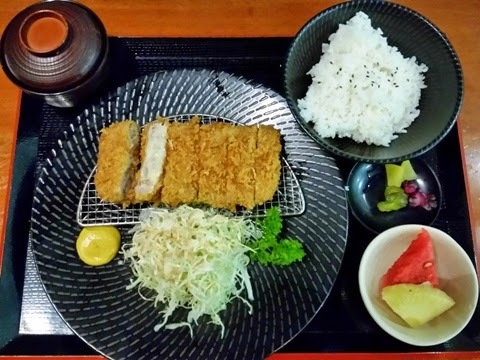 Such is the case of Yabu's Pork Tenderloin Set which is served with a 3/4 inch thick juicy pork with no fat, unlimited Japanese rice, miso soup, unlimited cabbage with your choice of dressing and fresh fruits for dessert. All I could remember was seeing the phrase "stuffed with cream cheese" on the standee by the entrance and moments later, this mouth-watering goodness was placed on my side of the table. Overexcitement can really lead to low EQ that I never bothered flipping the menu to read the rest of the description when the staff was asking for our orders. On the contrary, this would not be my first choice had I opened the menu since I usually order the Seafood or Salmon Katsu. 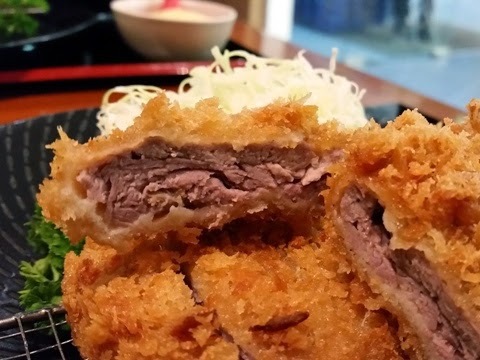 So I'm ecstatic to have discovered this delicious dish of authentic Japanese ground beef and pork combination that I only learned after taking a bite. Life is really full of surprises! And mine just came with extra cream cheese.